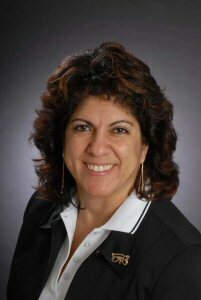 OTTAWA, ONTARIO--(Marketwired - Nov. 23, 2016) - Amika Mobile is pleased to announce its CEO, Sue Abu-Hakima has been named a Women's Executive Network (WXN) 2016 Canada's Most Powerful Women: Top 100 Award Winner. She was also named a Top 100 by the WXN in 2015. Launched in 2003, the Top 100 Awards celebrate the incredible accomplishments of Canada's top female executive talent as well as their organizations and networks. Sue Abu-Hakima will receive the Sun Life Trailblazers and Trendsetters award for being an innovator and one of the rare women in technology who is both a Founder and CEO, and who has exited one start-up and is working on her second. Sue has 30 International patents in technology in AI, messaging public safety, and security. She has set an example as a tech Founder/CEO for 17 years and has had a strong impact on women entrepreneurs while contributing to non-profit boards for 29 years. Sue will be honoured during a gala celebration at the Metro Toronto Convention Centre on November 24. Sue Abu-Hakima co-founded Amika Mobile, joining as CEO in 2007, and has had a profound impact by leading the company through its development and launch of new, innovative products, which have recently garnered top awards in public safety and security. She also drives partnerships and customer acquisition for Amika Mobile, successfully signing marquee customers such as CBSA in Canada and the Albany VA Hospital in the US, amongst others. As a proud supporter of women in leadership and technology, Amika Mobile works to create the necessary conditions and opportunities for women to help them thrive and succeed within high tech and setting a strong example for women in business. "Receiving the Top 100 Trailblazer and Trendsetters award from the WXN for the second year in a row, is a super honour and I hope to continue to set a strong example for young women to thrive in tech today on the web, in social media, in security or with mobile apps. It is getting easier to start-up today than it was 16 years ago and I hope to continue to inspire and mentor the next generation." said Sue Abu-Hakima, Co-Founder/CEO Amika Mobile. "Women are not just leading companies, headlines and new deals, we're doing so in record numbers. In addition to closing the gender gap for participation in post-secondary education and the workforce, we're excelling at the top levels of every sector," says WXN Owner and CEO, Sherri Stevens. "When WXN created Canada's Most Powerful Women: Top 100 Awards, part of the purpose was celebration. By recognizing a community of now 939 remarkable women, we get the opportunity to look back and appreciate the hard work and hurdle jumping it took to get here." The full list of WXN's 2016 Canada's Most Powerful Women: Top 100 Award Winners can be found at https://www.wxnetwork.com/top-100/top-100-winners/. Founded in 1997, WXN is Canada's leading organization dedicated to the advancement and recognition of women in management, executive, professional and board roles. WXN is led by CEO Sherri Stevens, owner of the award-winning, multi-million dollar Workforce Management Company Stevens Resource Group Inc., which she established in 1990. In 2008, WXN launched in Ireland, followed by London, UK in 2015, creating an international community of female leaders.